Elizabeth Fiedler, left, a former WHYY reporter, won the Democratic nomination in the 184th Legislative District and will be unopposed in the general election. Winning the Democratic nod in the 181st Legislative District was Malcolm Kenyatta, who will face Republican T. Milton Street in November. Here is a rundown of the state Senate and House primary races in the Philadelphia area. The tallies are unofficial with 99.5 percent of the voting districts reporting. In the 26th Senatorial District, which includes parts of Chester and Delaware counties, Democrat Timothy Kearney defeated challenger Tanner Rouse for the nomination to challenge incumbent Republican Thomas McGarrigle, who is unopposed. Kearney had 57 percent of the vote to Rouse's 43 percent. In the 53rd Legislative District, which includes parts of Montgomery County, Democrat Steven Malagari turned back fellow Lansdale Borough councilman Leon Angelichio to win the party nomination in the race for an open seat after the retirement of long-term Republican Rep. Bob Godshall. Malagari had 62 percent to Angelichio's 38 percent. He will face Republican Andy Szekely, who was unopposed in the primary, in the November general election. In the 74th Legislative District, which includes parts of Chester County, Democrat Dan Williams defeated Josh Maxwell and Frank Pryor to claim the party nomination in the November race for the open seat resulting from the retirement of incumbent Republican Harry Lewis. Williams will face Republican Amber Little Turner, who was uncontested. Williams had 44 percent to Maxwell's 37 percent and Pryor's 19 percent. 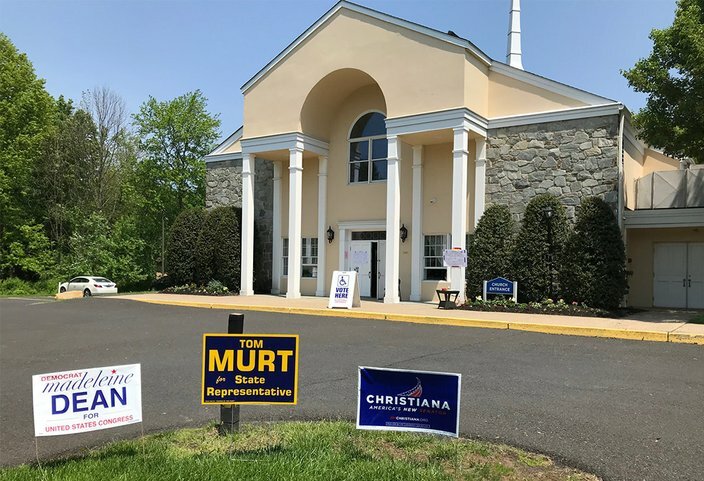 In the 143rd Legislative District, which includes parts of upper and central Bucks County, Democrat Wendy Ullman was leading Timothy Brennan in the contest for the seat left open when incumbent Republican Marguerite Quinn declared her candidacy for a 10th Senatorial District seat. Ullman had 50.5 percent to Brennan's 49.5 percent. The winner will face Joseph Flood, an uncontested Republican, in November. In the 155th Legislative District, which includes parts of Chester County, Danielle Friel Otten easily defeated Ronald Graham for the Democratic nomination to challenge incumbent Republican Becky Corbin. Otten had 82 percent of the vote to Graham's 18 percent. In the 158th Legislative District, which includes parts of Chester County, Republican incumbent Eric Roe easily defeated William Westbrook Jr. and will face Democrat Christina Sappey, who was uncontested. Roe had 90 percent of the vote to Westbrook's 10 percent. In the 160th Legislative District, which includes parts of Chester and Delaware counties, Democrat Andrew Anton barely turned back a challenge from Catherine Spahr. Anton had 53.5 percent of the vote to Spahr's 46.5 percent. Anton will take on incumbent Republican Stephen Barrar in the general election. In the 165th Legislative District, which includes parts of Delaware County, Republican incumbent Alexander Charlton defeated challenger Regina Scheerer and will face Jennifer Omara, an uncontested Democrat, in November. Charlton had 66 percent to Scheerer's 34 percent. In the 167th Legislative District, which includes parts of Chester County, Democrat Kristine Howard defeated Jeffrey McFall and will face off with incumbent Republican Duane Milne, who was uncontested. Howard had 79 percent of the vote to McFall's 21 percent. This polling place in Upper Dublin, Montgomery County was quiet at lunchtime on Tuesday. In the 168th Legislative District, which includes parts of Delaware County, Kristin Seale was barely leading challenger Philip Block for the Democratic nomination to challenge incumbent Republican Christopher Quinn, who was uncontested. Seale had 50.6 percent of the vote to Block's 49.4 percent. In the 175th Legislative District, which includes parts of Philadelphia, Democratic incumbent Michael O'Brien beat challenger Deborah Derricks. O'Brien had 58 percent to Derricks' 42 percent. There is no Republican candidate. In the 177th Legislative District, which includes parts of Philadelphia, Joseph Hohenstein emerged from a crowded Democratic field to win the party nomination for the contest to fill the seat of retiring, longtime Republican incumbent John Taylor. Hohenstein defeated Margaret Borski, Sean Kilkenny and Daniel Martino. Hohenstein had 37 percent to 24 percent for Borski, 24 percent for Kilkenny and 15 percent for Martino. Republican Patty Pat Kozlowski was unopposed. In the 179th Legislative District, which includes parts of Philadelphia, Democratic incumbent Jason Dawkins defeated challenger Abu Edwards with 76 percent and 24 percent, respectively. There is no Republican candidate. In the 181st, Malcolm Kenyatta won the party nomination for the seat left open by the retirement of longtime state Rep. Curtis Thomas. Kenyatta defeated Lewis Nash Sr., Lewis F. Thomas III, Jason Alexander Deering and Gilberto Gonzalez. Kenyatta had 42 percent to 27 percent for Nash, 18 percent for Thomas and 8 percent for Deering and 6 percent for Gonzalez. Kenyatta will face T. Milton Street, who ran unopposed on the Republican ballot. In the 184th Legislative District, which includes parts of Philadelphia, Democrat Elizabeth Fiedler won the party nomination to fill the seat of longtime incumbent Democrat William Keller, who did not seek reelection. Fiedler, a first-time candidate, defeated Tom Wyatt, Nicholas DiDonato Jr., and Jonathan Rowan. Fiedler had 51 percent to 37 percent for Rowan, 7 percent for Wyatt and 5 percent for DiDonato. There is no Republican candidate. 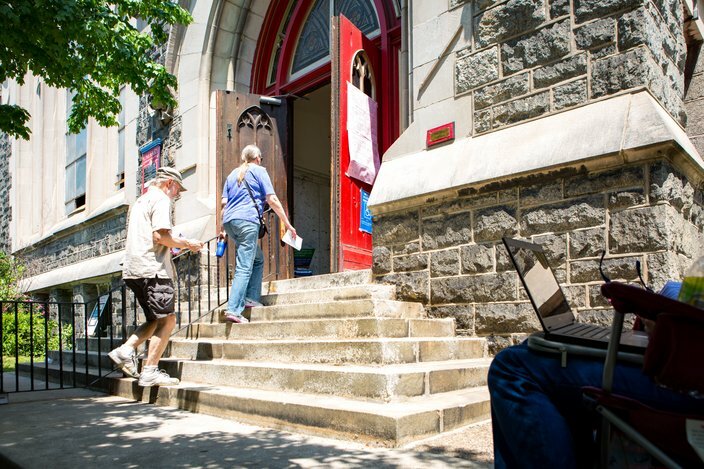 Voters enter a polling location at the Calvary United Methodist Church on 48th and Baltimore, on Tuesday, May 15, 2018. In the 188th Legislative District, which includes parts of Philadelphia, longtime Democratic incumbent James Roebuck defeated challengers Jeffrey Curry and Diane Settles. Roebuck had 56 percent of the vote to 26 percent for Settles and 18 percent for Curry. There is no Republican candidate. 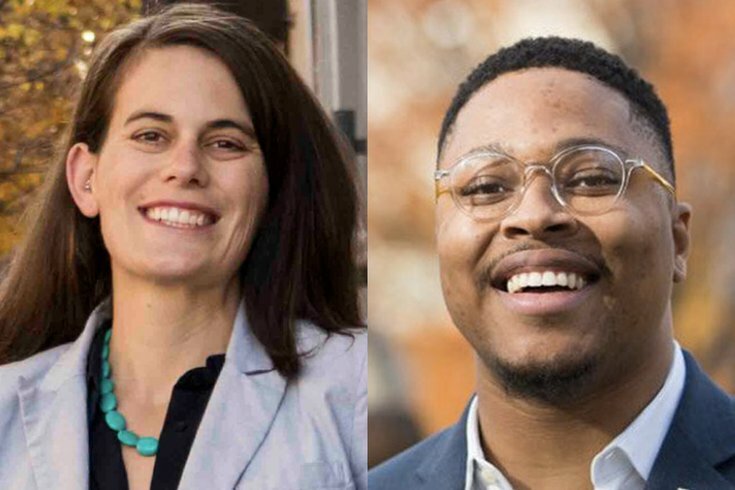 In the 190th Legislative District, which includes parts of Philadelphia, Democratic incumbent Vanessa Brown easily defeated challengers Wanda Logan and Raymond Bailey Sr. Brown had 65 percent of the vote to 20 percent for Bailey and 15 percent for Logan. There is no Republican candidate. In the 197th Legislative District, which includes parts of Philadelphia, Democrat Danilo Burgos defeated incumbent Emilio Vazquez and Frederick Ramirez in a close race. Burgos had 37 percent of the vote to 34 percent for Ramirez and 28 percent for Vazquez. There is no Republican candidate. In the 198th Legislative District, which includes parts of Philadelphia, Democratic incumbent Rosita Youngblood beat challenger Bernard Williams with 69 percent and 31 percent, respectively. There is no Republican candidate. In the 200th House District, which includes parts of Philadelphia, Democratic incumbent Christopher Rabb defeated challenger Melissa Scott. Rabb had 52 percent of the vote to Scott's 48 percent. There is no Republican candidate.